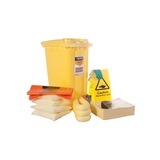 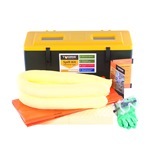 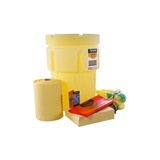 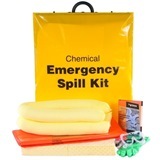 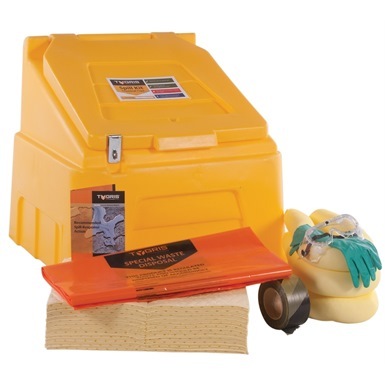 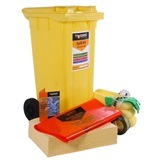 Tygris 90 Litre Chemical Static Spill Kit is a medium capacity spill kit, which is housed in static grit bin style casing, ideal for areas where a spill kit is mandatory, and where there is no need for relocation. 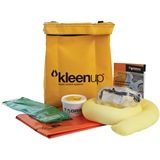 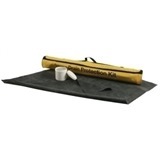 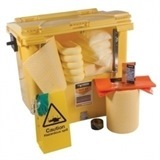 the kit can be stored both indoors and outdoors, and is suitable for the temporary containment of used absorbents. 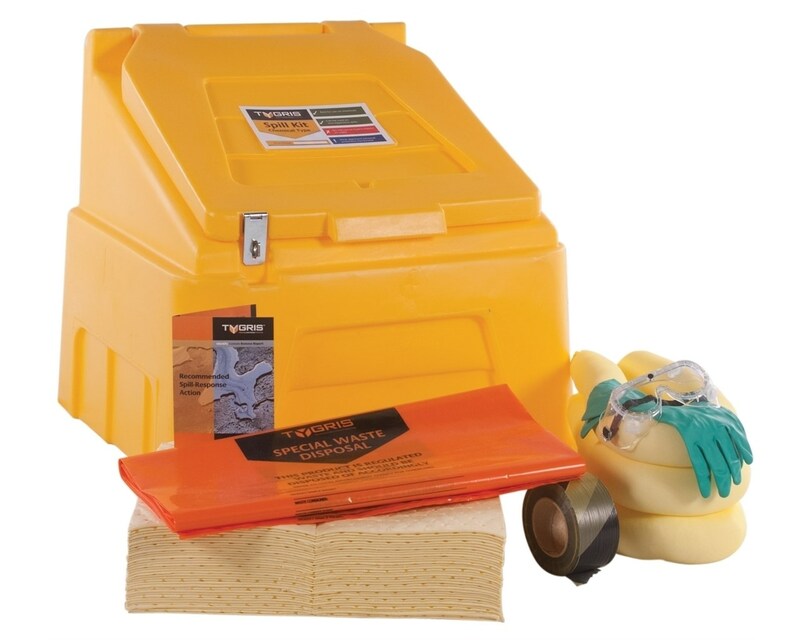 The kit contains 60 absorbent mats, 8 1.2 metre socks, 4 waste bags, and barrier tape, as well as a pair of coveralls, a pair of goggles and some gloves.